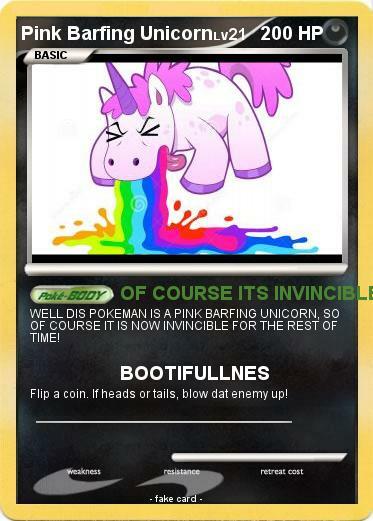 WELL DIS POKEMAN IS A PINK BARFING UNICORN, SO OF COURSE IT IS NOW INVINCIBLE FOR THE REST OF TIME! Flip a coin. If heads or tails, blow dat enemy up!